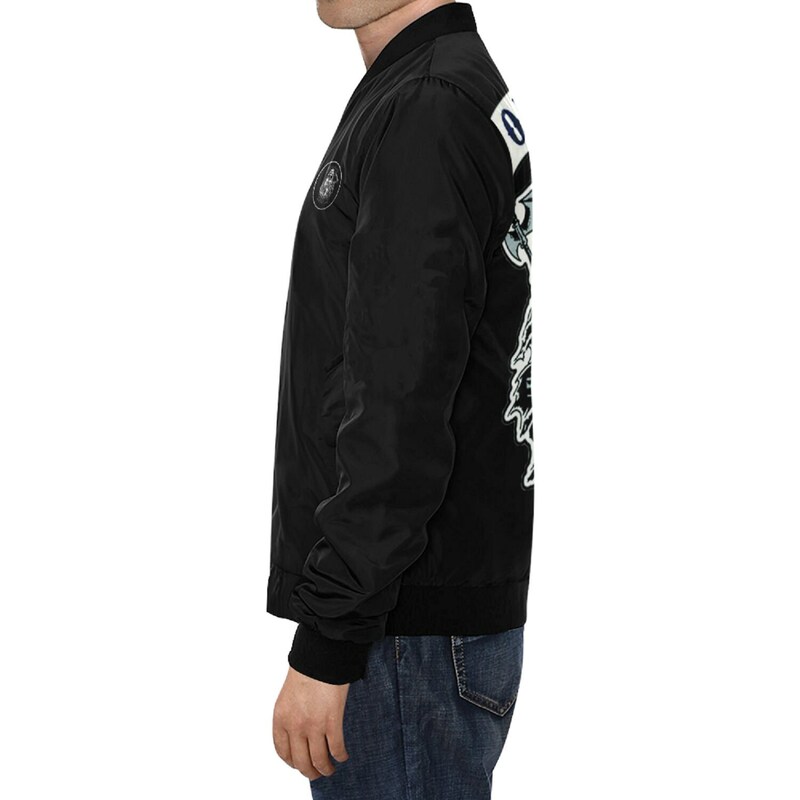 This all over print jacket with ribbed stand-up collar, elastic cuffs and elasticized hem is casual slimfit. 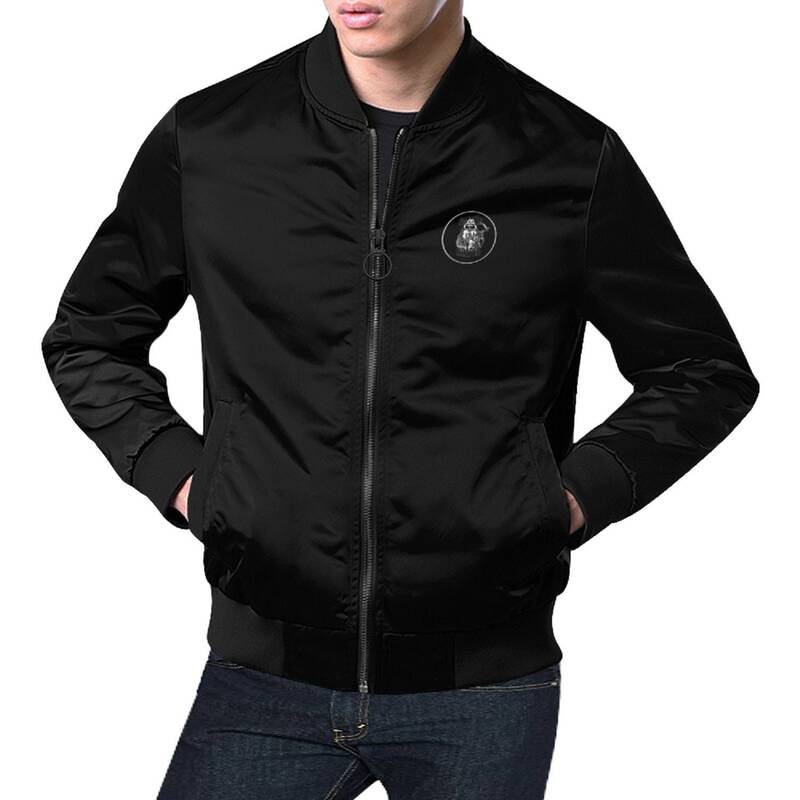 Extra thick and durable, this jacket is suitable for any outdoor activity. 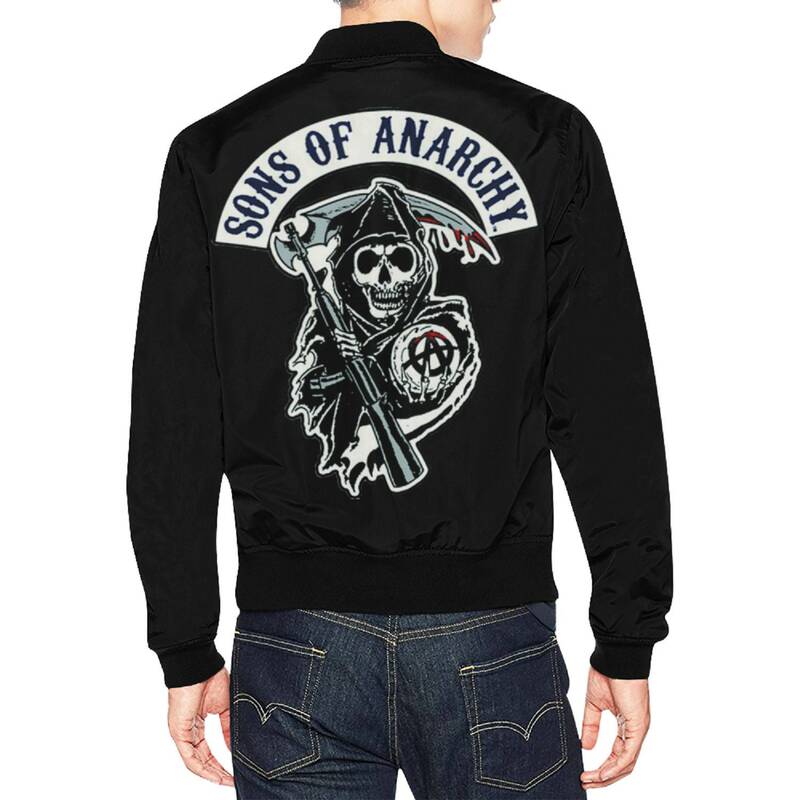 All black with son's of anarchy images front and back.